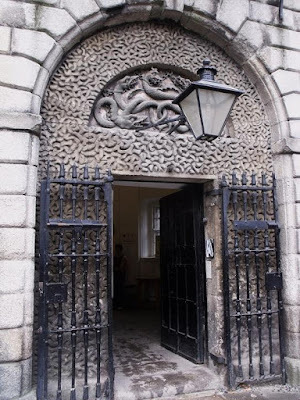 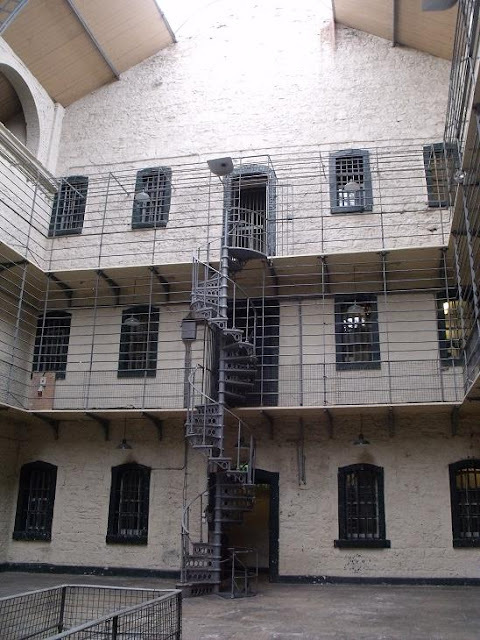 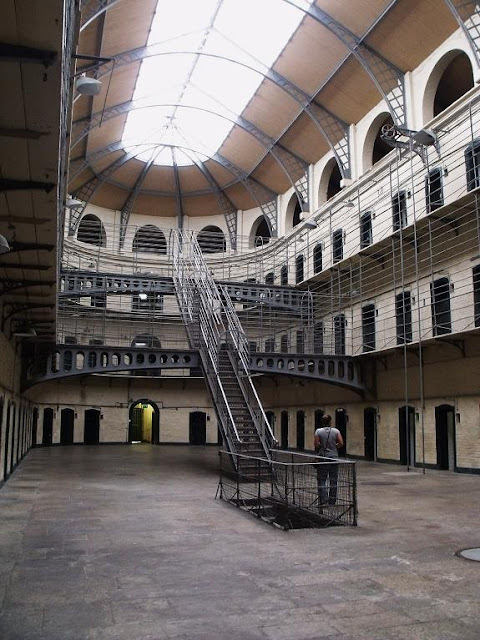 The front entrance to the Gaol with the sculpture know as 'the five Devils of Kilmainham'. 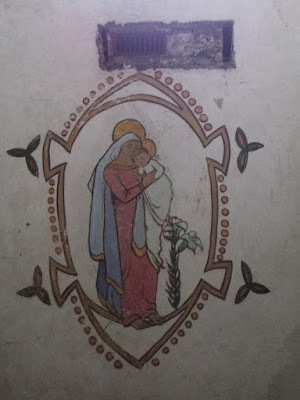 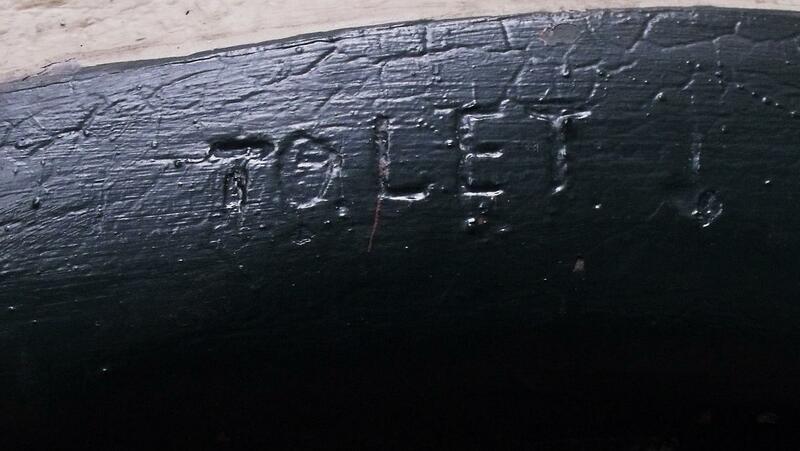 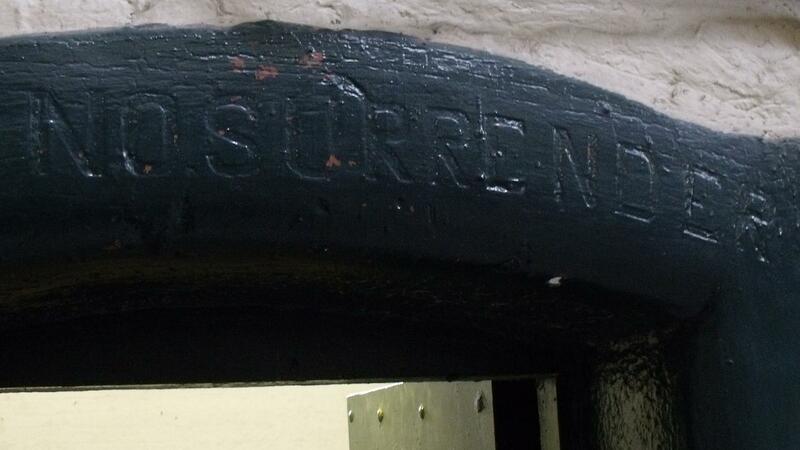 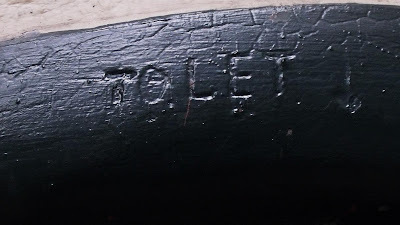 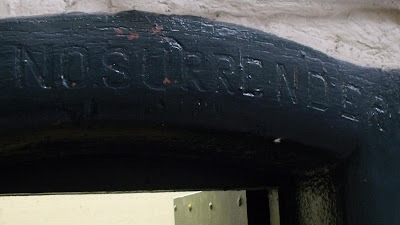 Have harried and held Ye that have bullied and bribed"
Carved above the doors are troop numbers and political slogans such as below, "No Surrender"
But as usual there is always one comedian, "TO LET"
The Madonna and child painted by one of the female leaders of the rising Grace Gifford. She married fellow leader Joseph Mary Plunkett before he was executed, they got to spent a romantic hour in one of the cells under the watch of an armed British Soldier! In your young soul we still surprise The secret wisdom flowing there"
The outside of the Prison see a little Norwegian friend taking pictures. 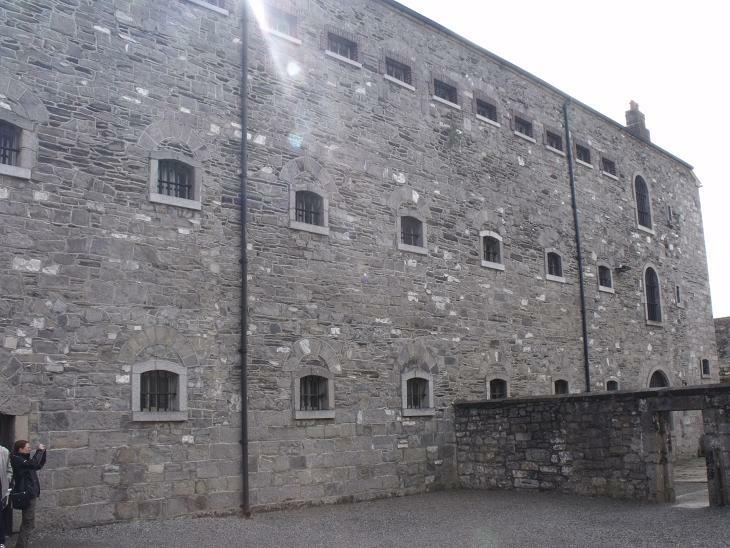 Padraic Pearce, Thomas J.Clarke, Thomas McDonagh, Joseph Plunkett, Edward Daly,Michael O'Hanrahan, William Pearce, Con Colbert, Eamonn Ceant, Michael Mallin, Sean Heuston, Sean MacDiarmada. 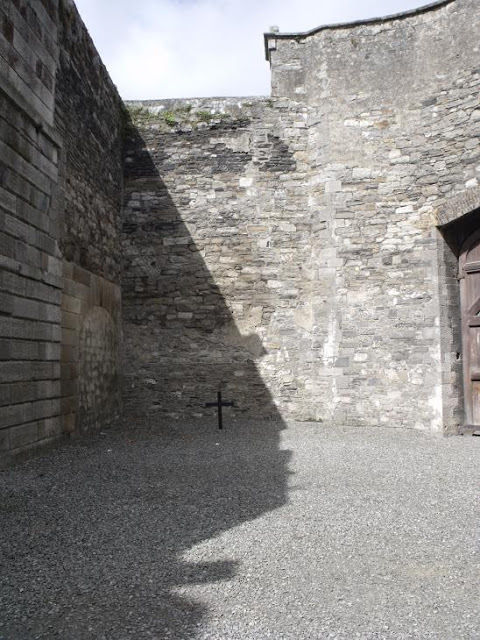 On the opposite side of the yard on May 12th May 1916, a military ambulance carried the badly wounded James Connolly up to the side gate. 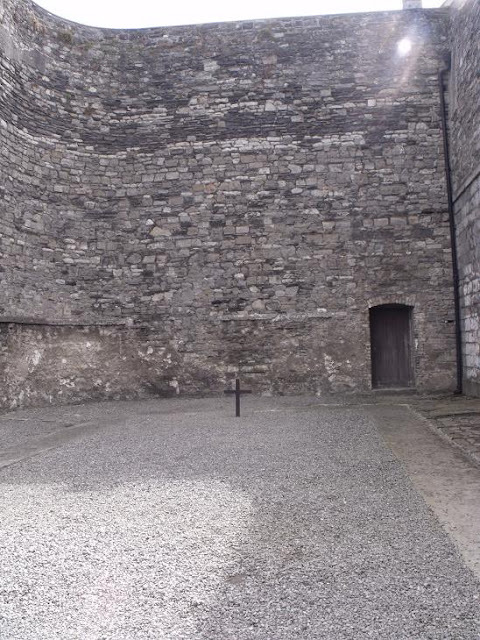 He was carried in on stretcher and had to be tied to a chair to keep him upright, so he could be shot. 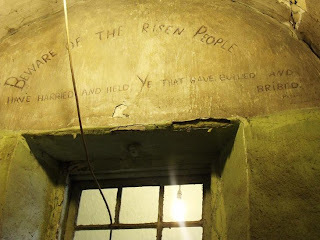 This was the straw that broke the camels back, the Irish who had shown little interest in rising were disgusted at the executions up to this, but the nature of Connolly's execution was a turning point.